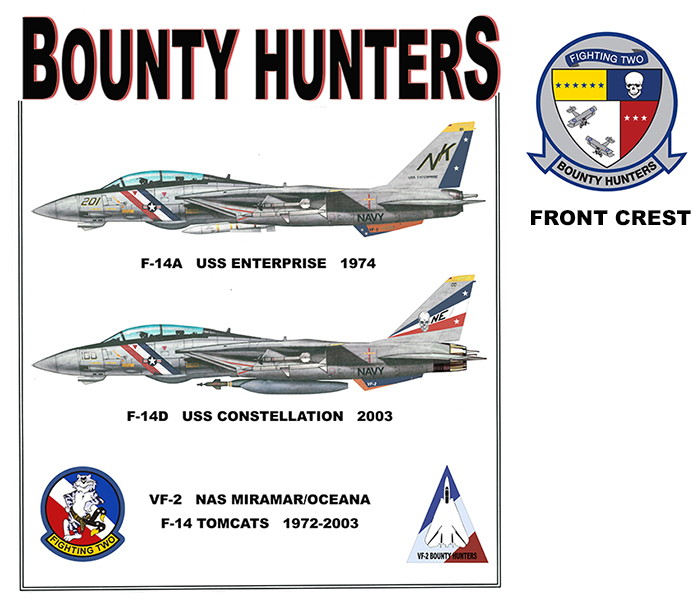 #362 - F-14 Tomcats of VF-2, the Bounty Hunters. 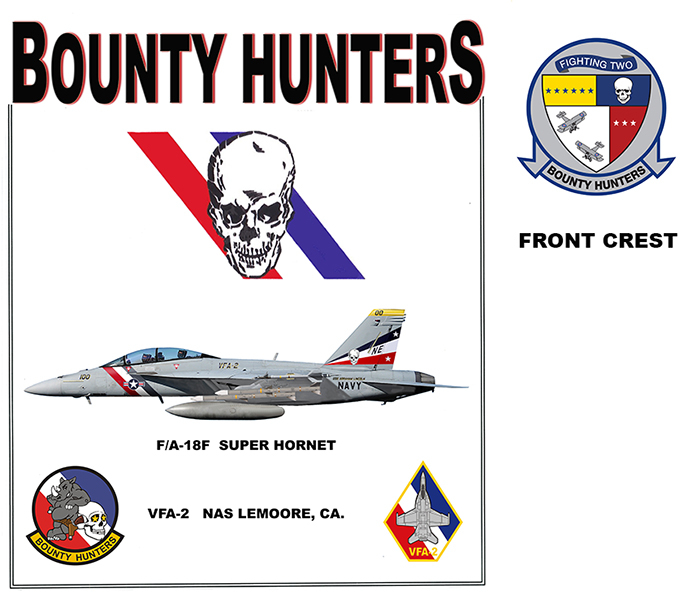 Squadron insignia on shirt front. 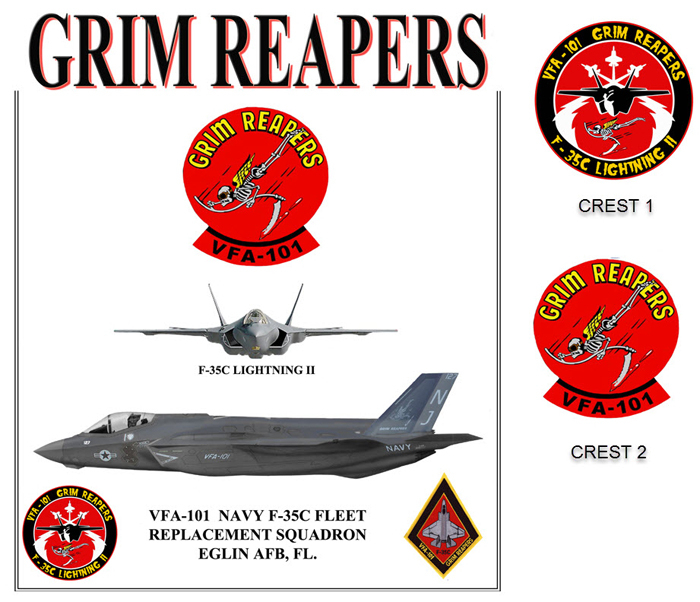 #354 - F-35 from VFA-101, the Grim Reapers. 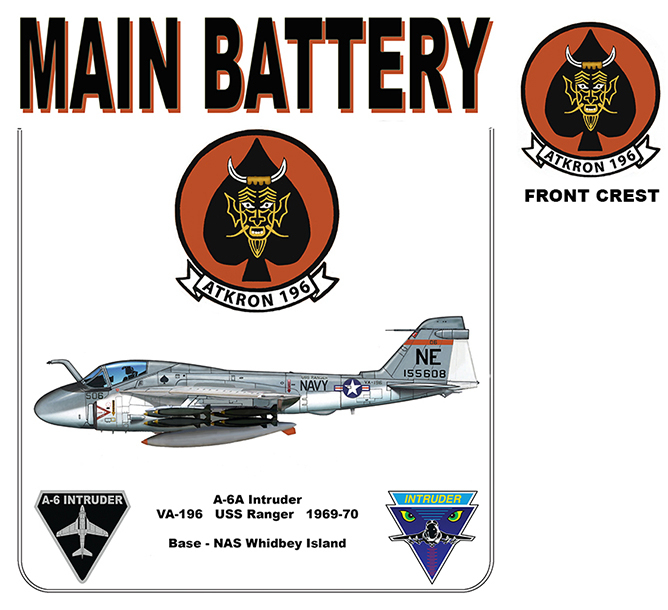 Squadron insignia on shirt front. 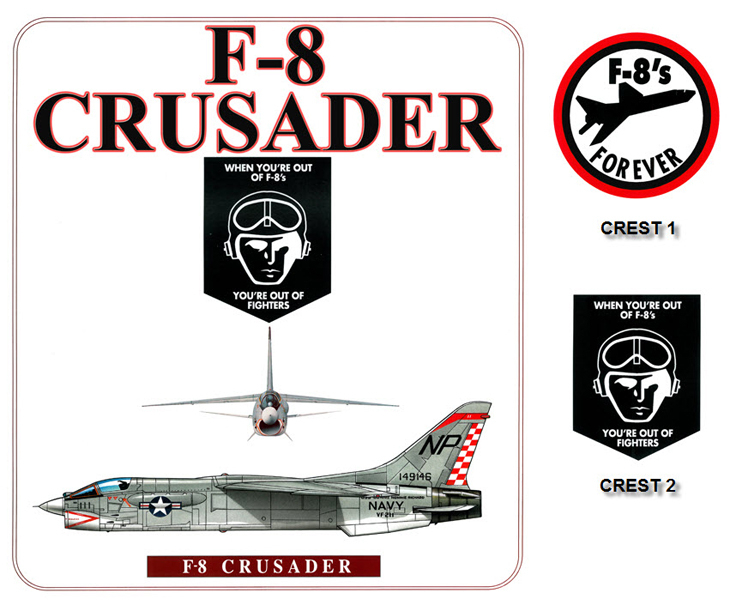 SP903 - One-sided design in Heather Navy. 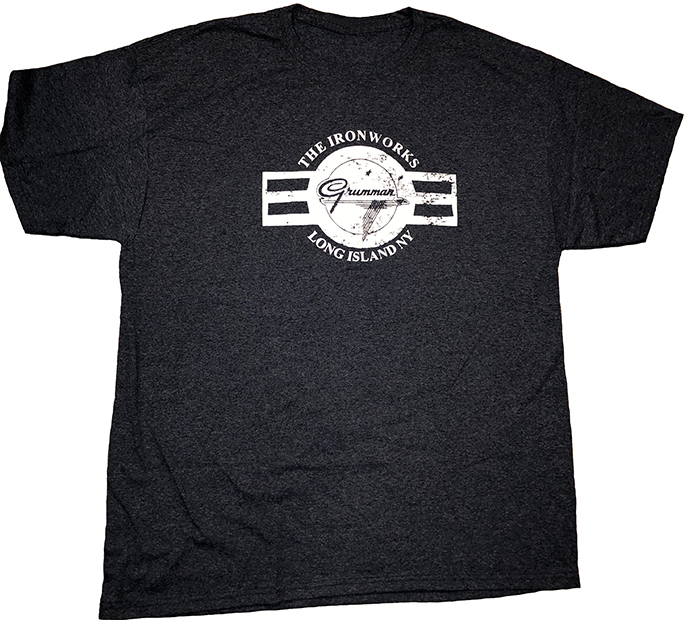 Sizes S, M, L, XL, and 2XL in a 50/50 cotton/polyester blend. 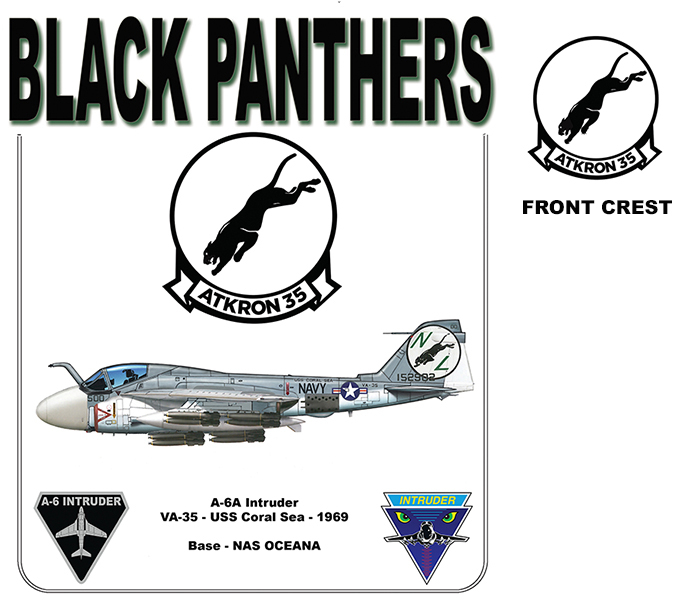 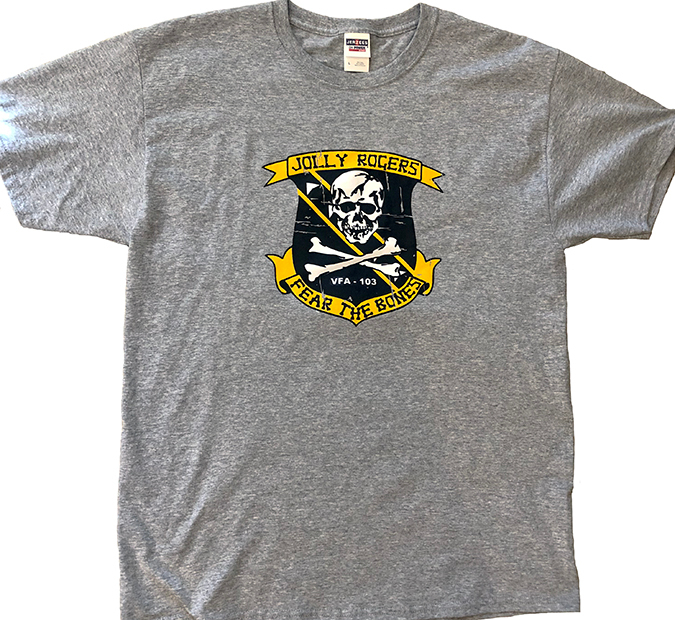 SP907 - One-sided Jolly Rogers VFA-103 design in heather-grey. 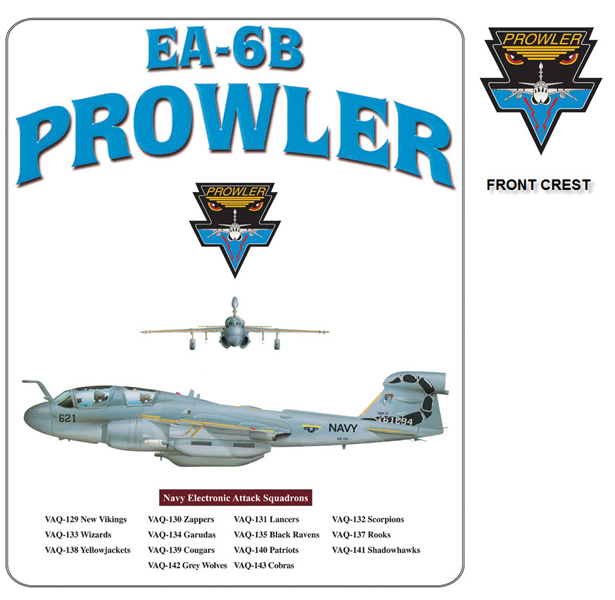 Sizes M, L, XL, and 2XL in a 50/50 cotton/polyester blend. 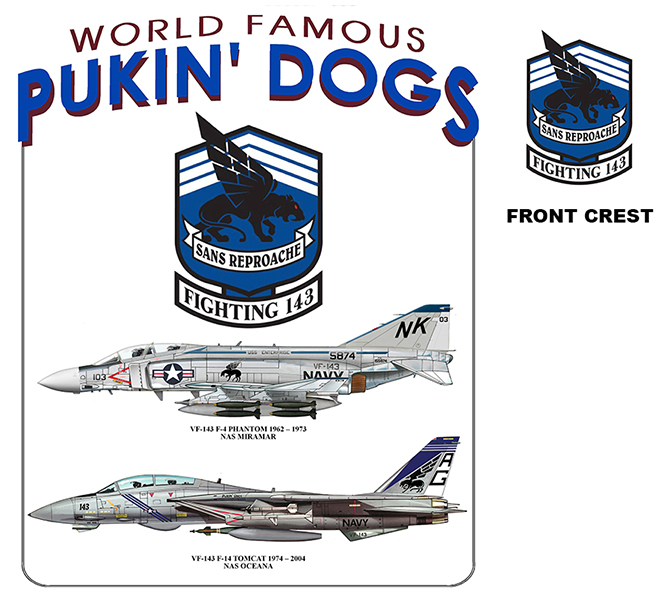 SP904 - One-sided design in Navy. 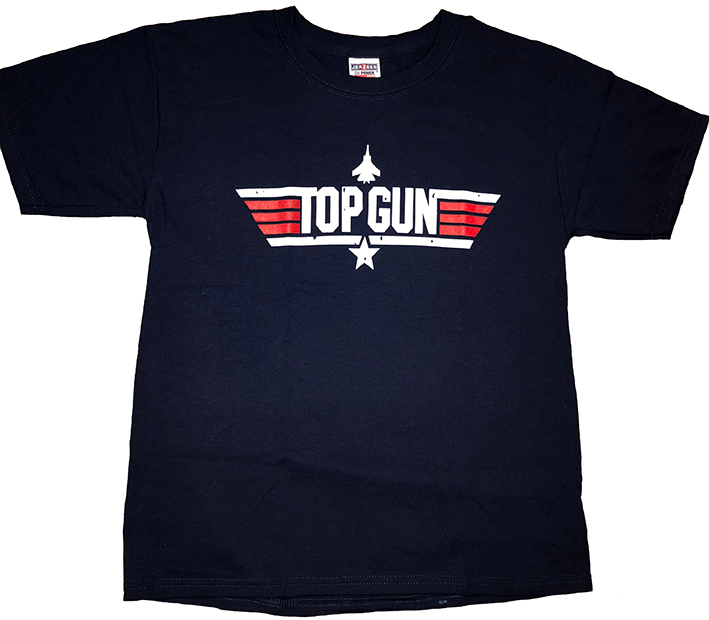 Sizes M, L, XL, and 2XL in a 50/50 cotton/polyester blend. 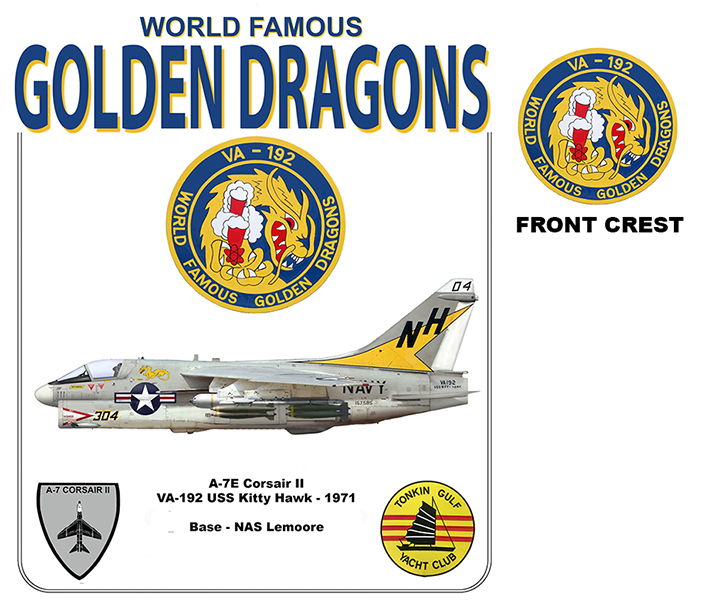 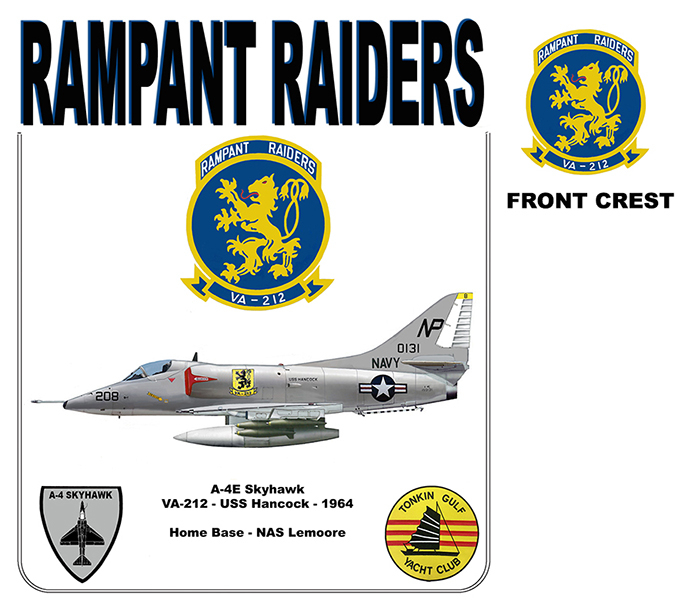 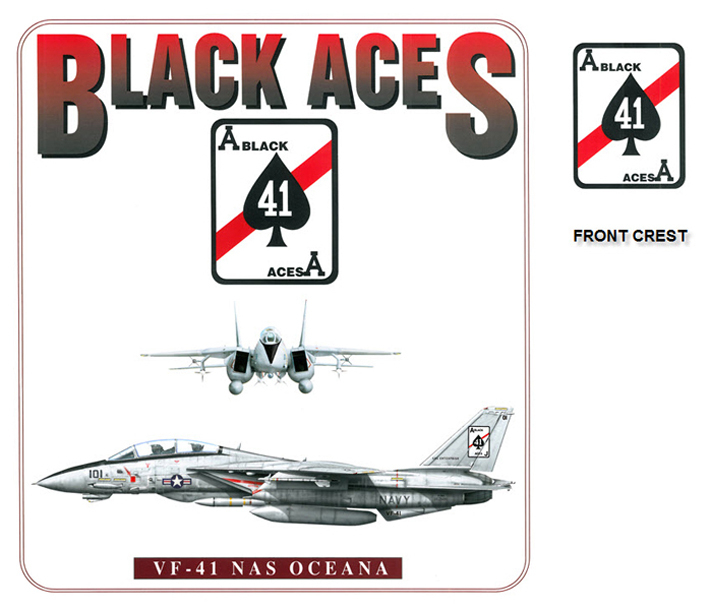 SP910 - One-sided US Navy Blue Angels jet team design in heather-grey. 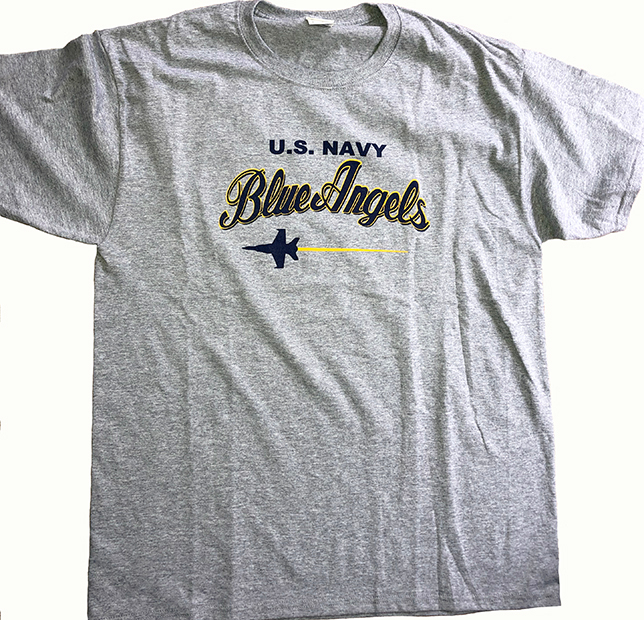 Sizes M, L, XL, and 2XL in a 50/50 cotton/polyester blend. 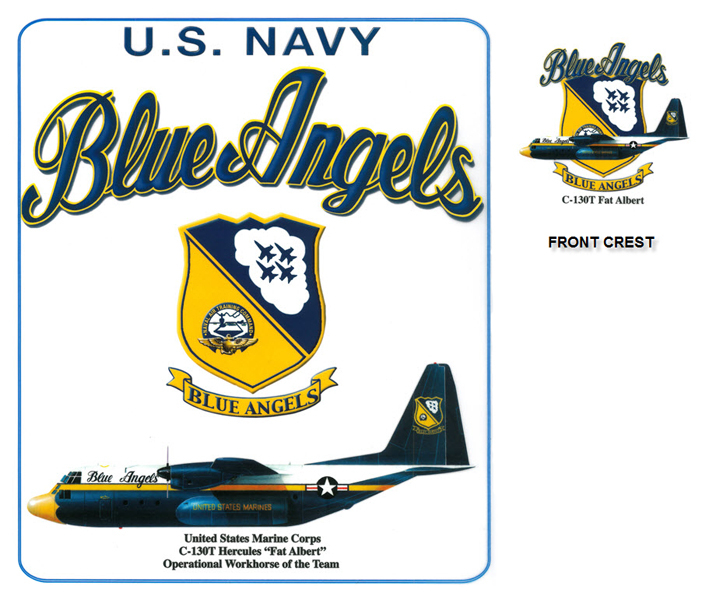 #310 - C-130 Hercules of the Navy's Flight Demonstration Team - The Blue Angels. 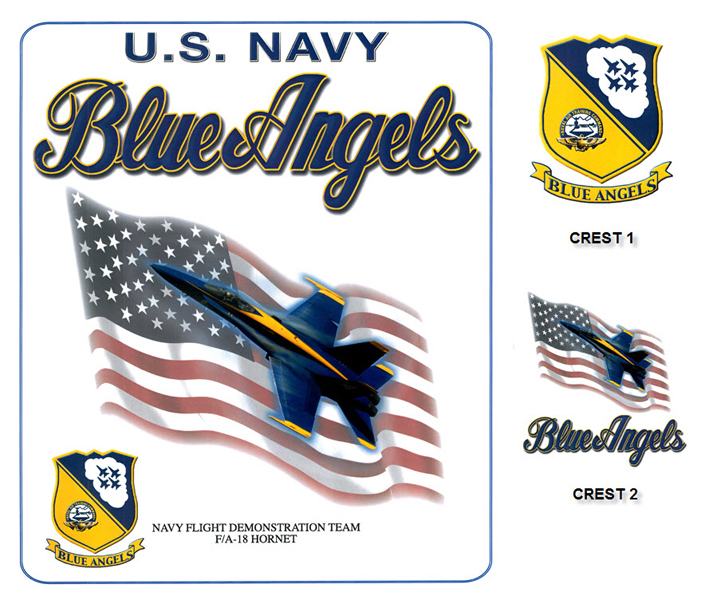 Blue Angels insignia on shirt front. 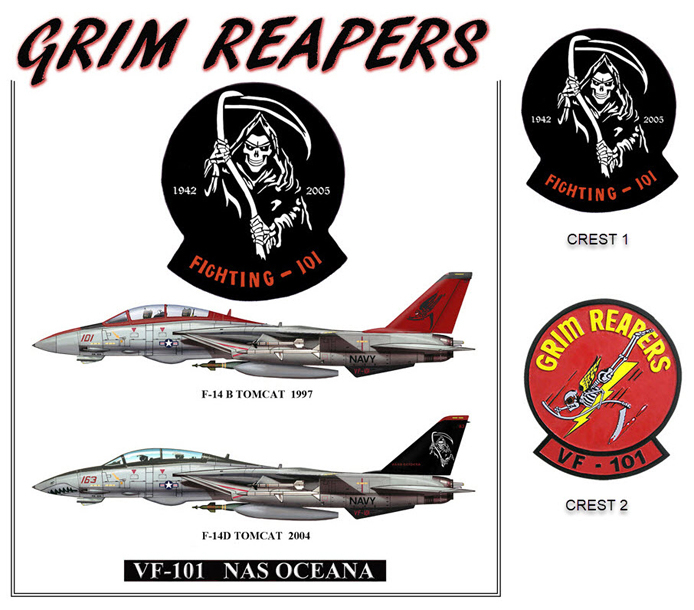 #325 - F-14 Tomcats belonging to VF-101, the Grim Reapers. 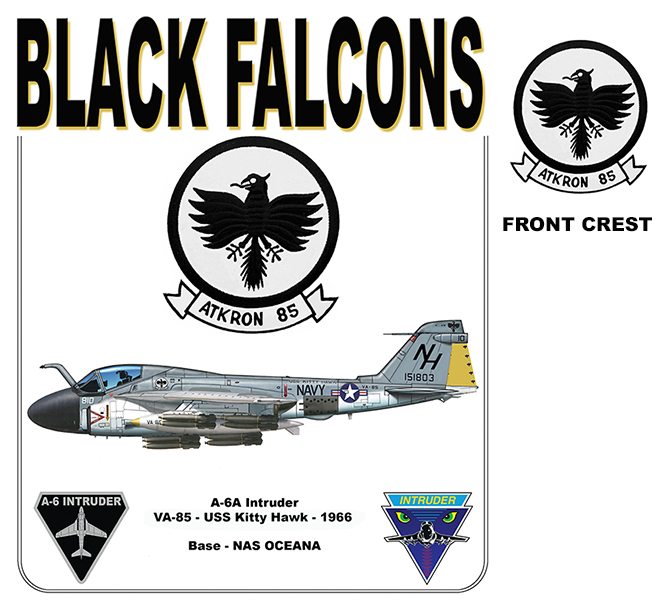 Squadron insignia on shirt front. 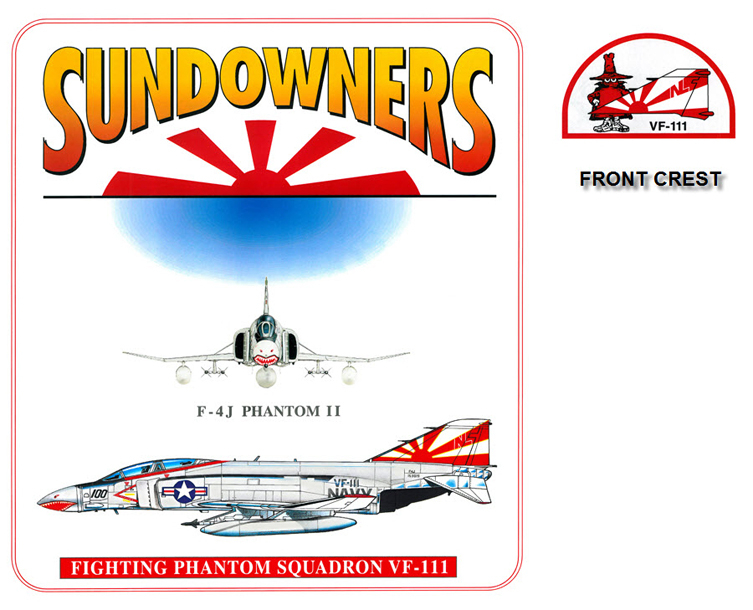 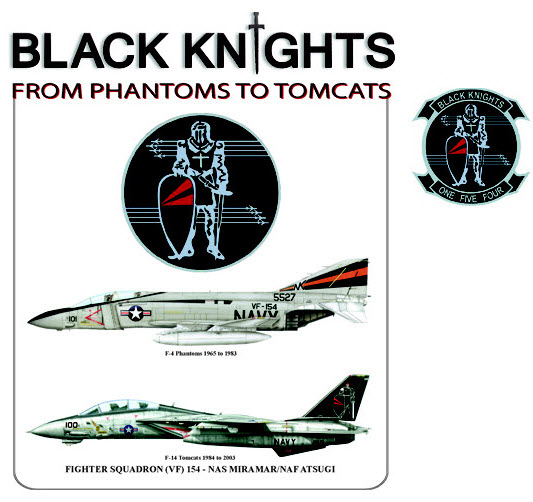 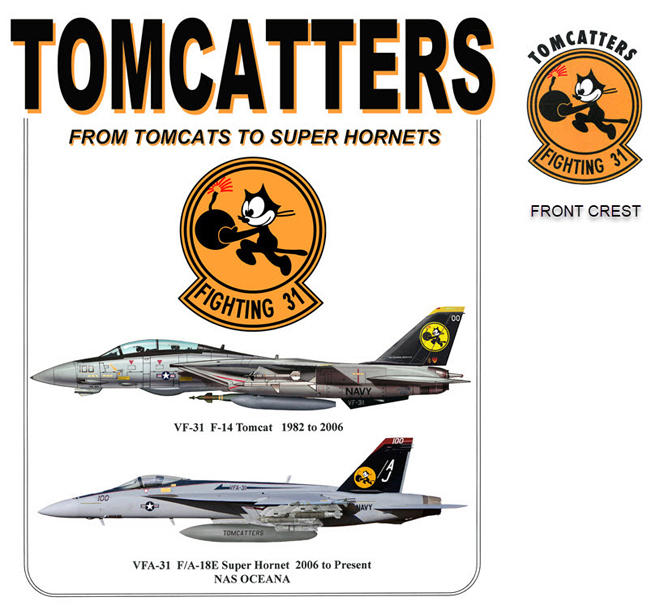 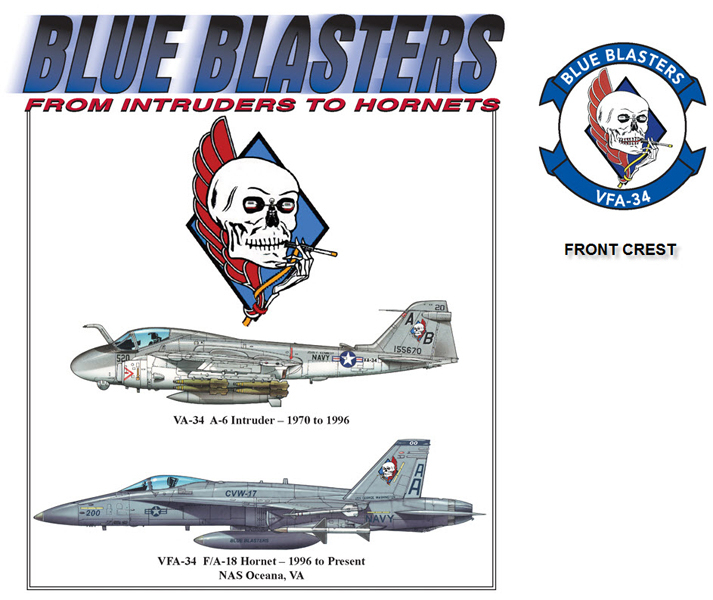 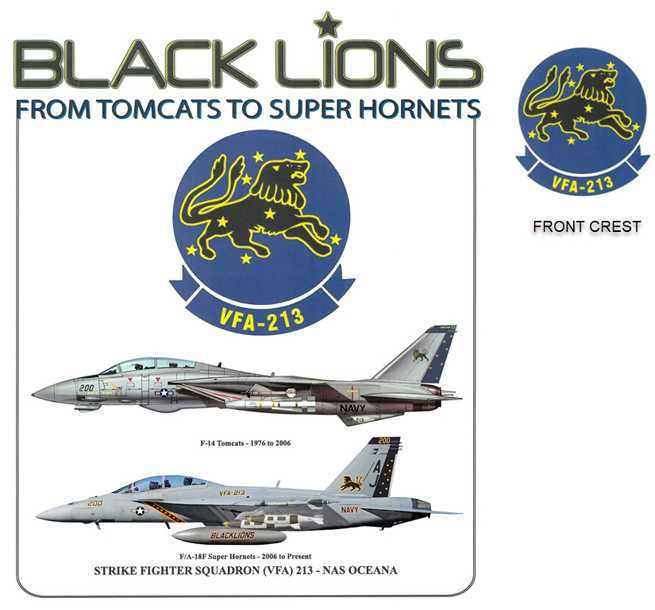 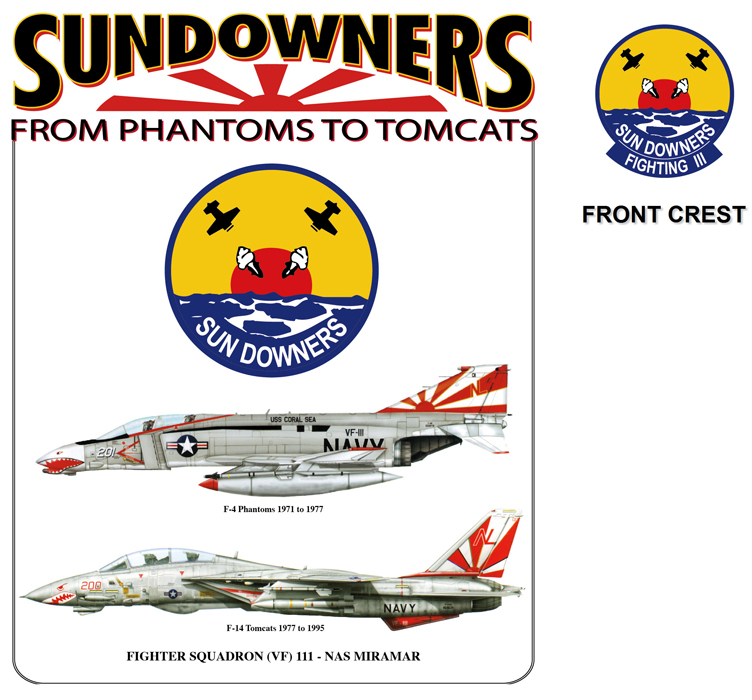 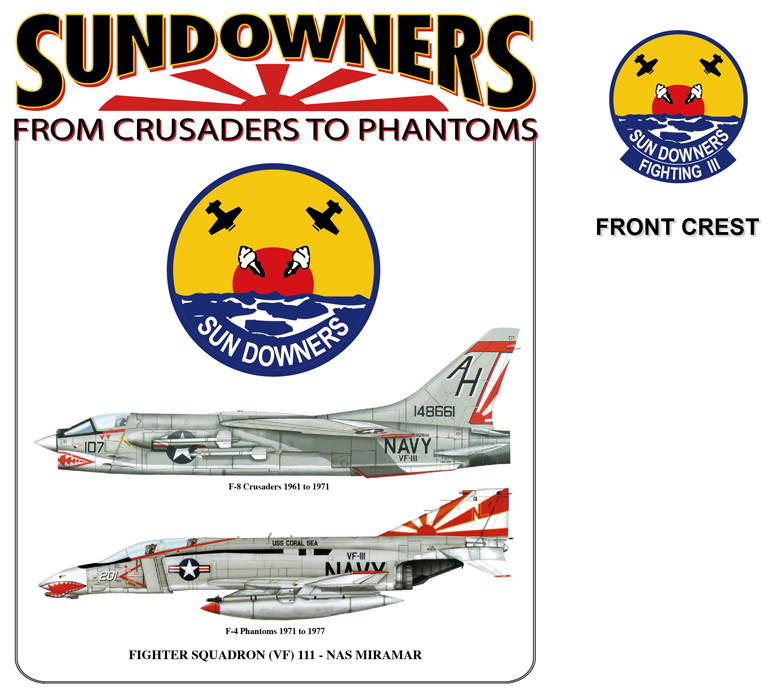 #299 - Tomcatters squadron transition from F-14 Tomcats to F-18 Super Hornets. 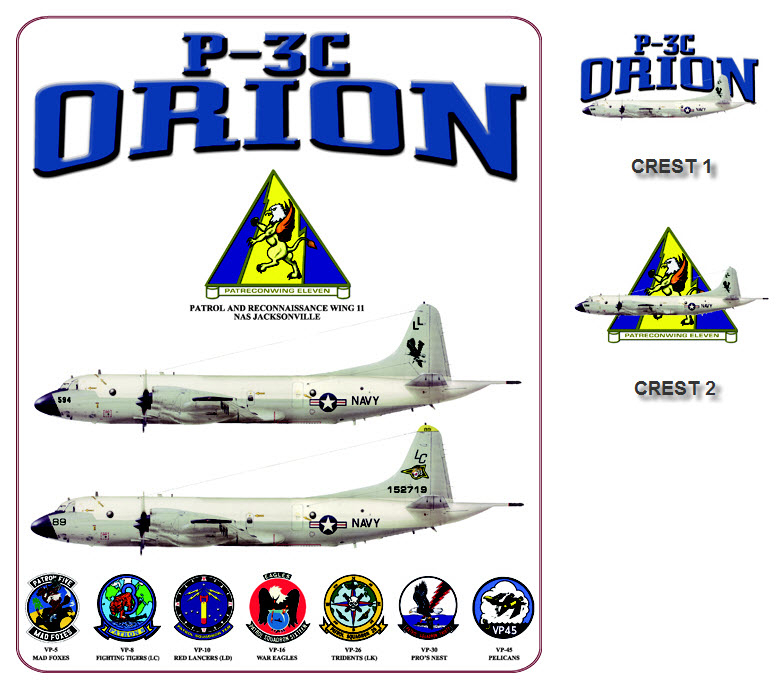 Squadron insignia for Fighting 31 on shirt front. 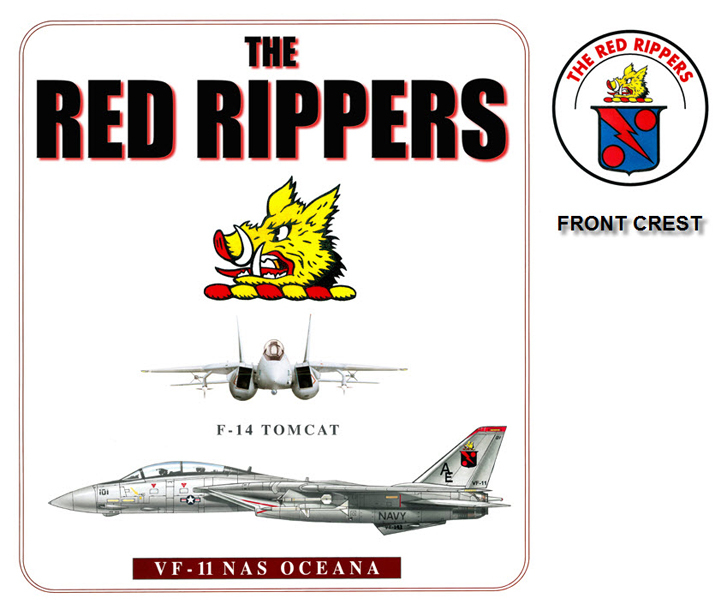 #153 - F-14 Tomcat belonging to VF-11, the Red Rippers. 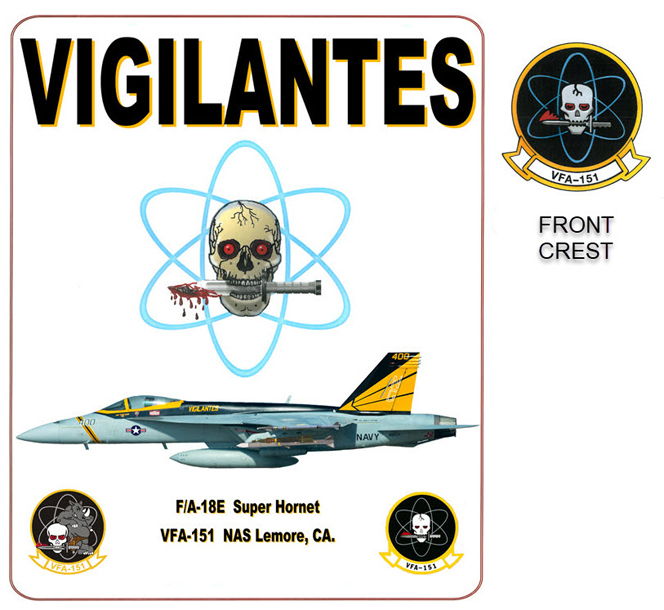 Squadron insignia on shirt front. 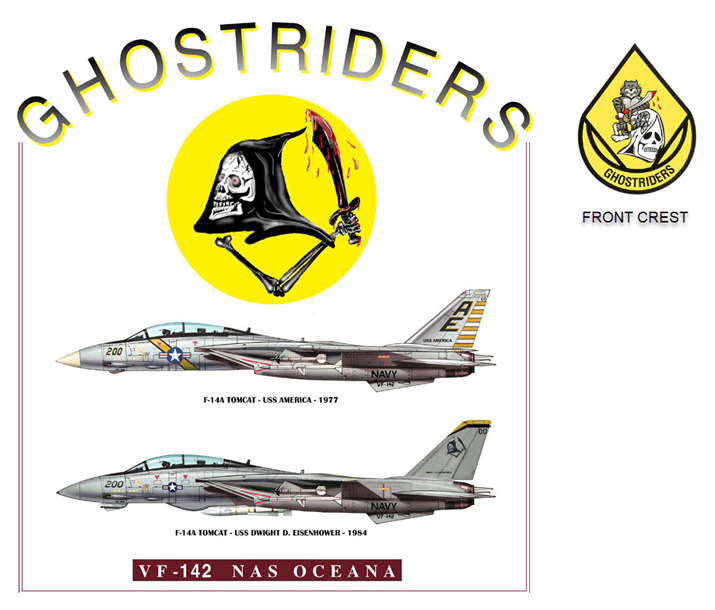 #138 - F-14 Tomcats of VF-142, the Ghostriders. 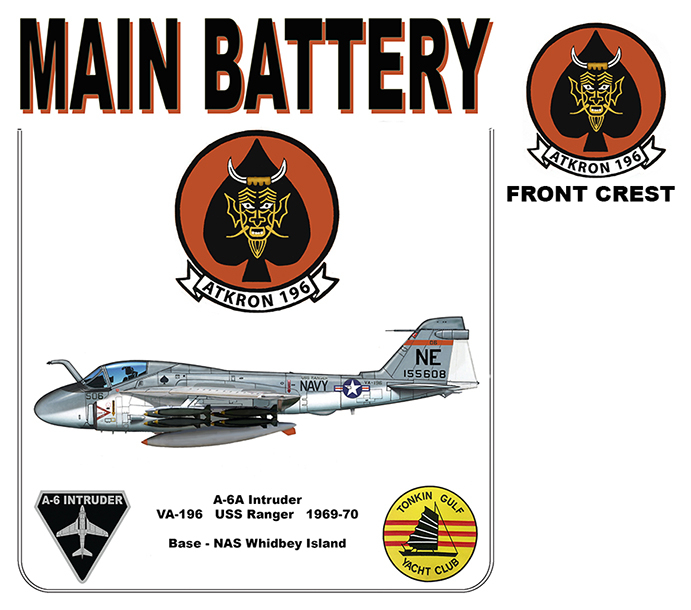 Squadron insignia on shirt front. 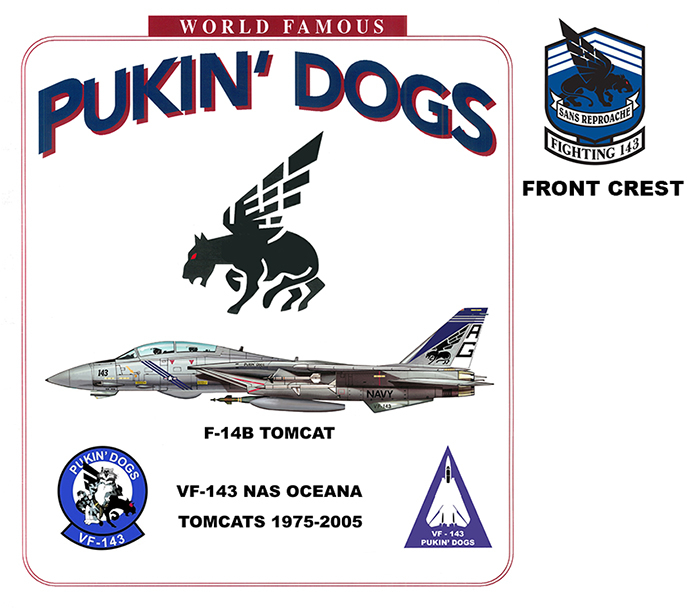 #146 - F-14 Tomcat belonging to VF-143, the Pukin' Dogs. 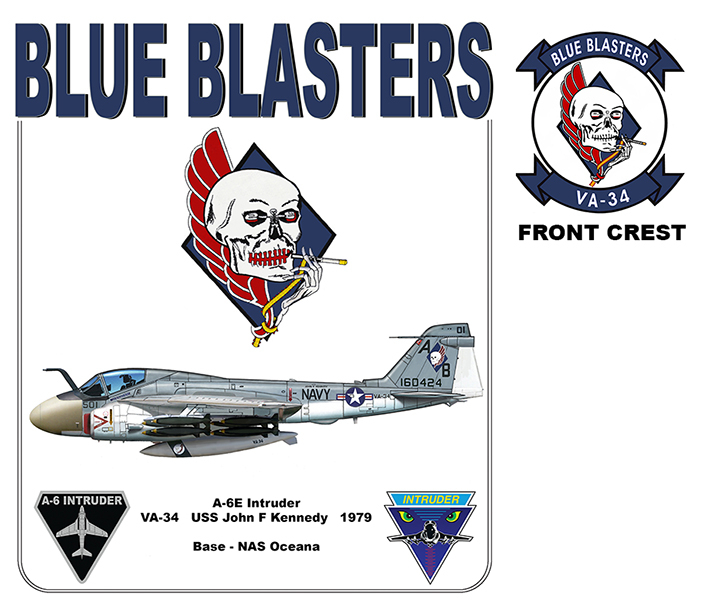 Squadron insignia on shirt front. 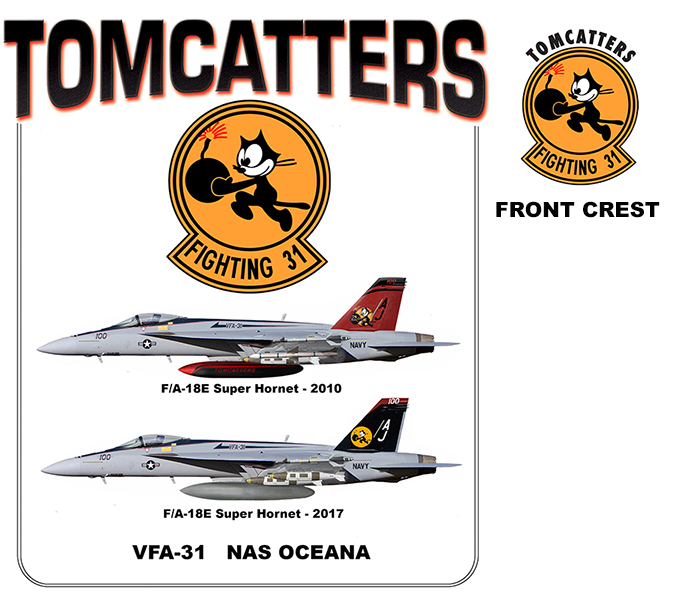 #152 - F-14 Tomcat belonging to VF-31, the Tomcatters. 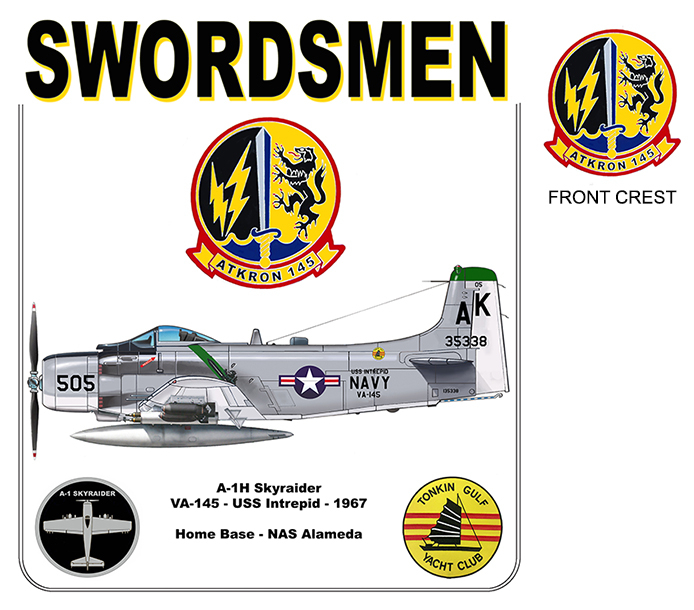 Squadron insignia on shirt front. 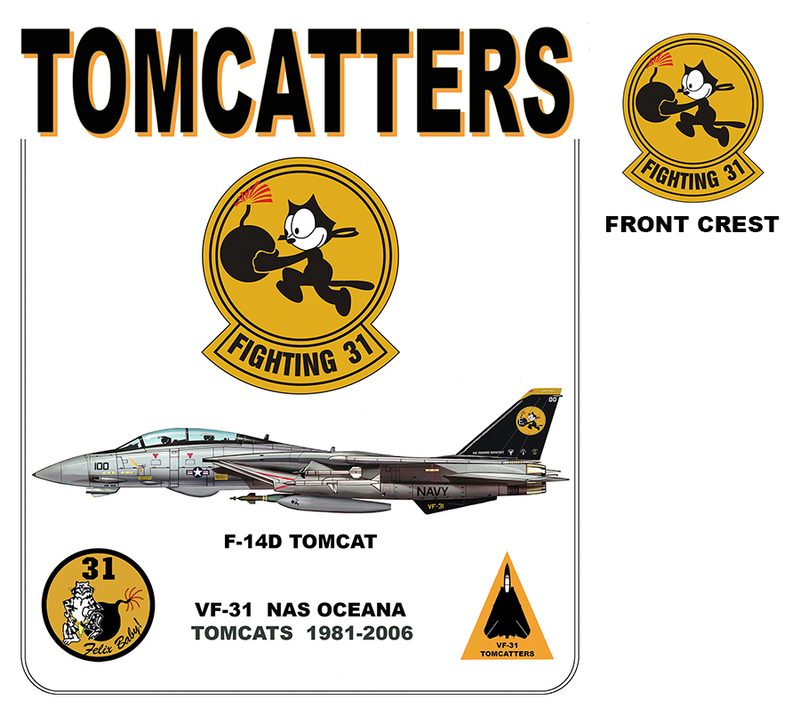 #145 - F-14 Tomcat belonging to VF-41, the Black Aces. 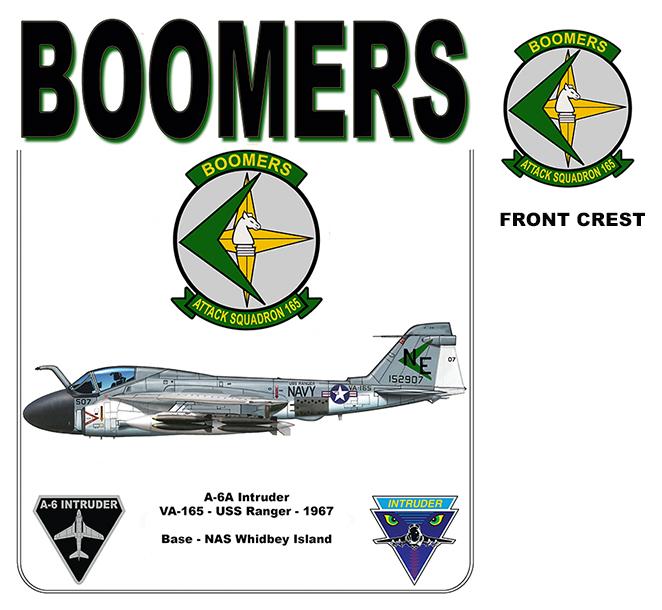 Squadron insignia on shirt front. 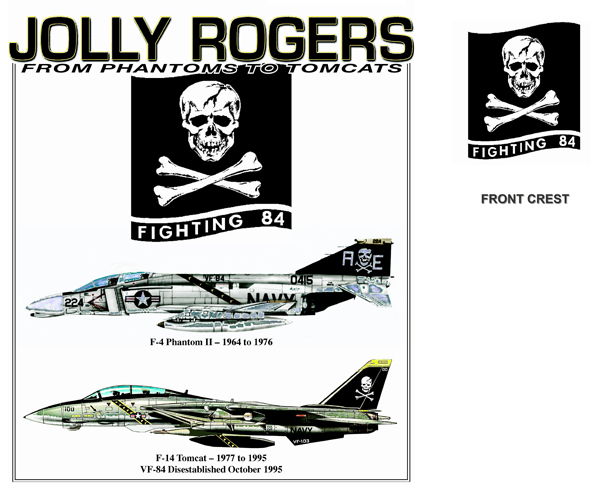 #137 - F-14 Tomcat belonging to VF-84, the Jolly Rogers. 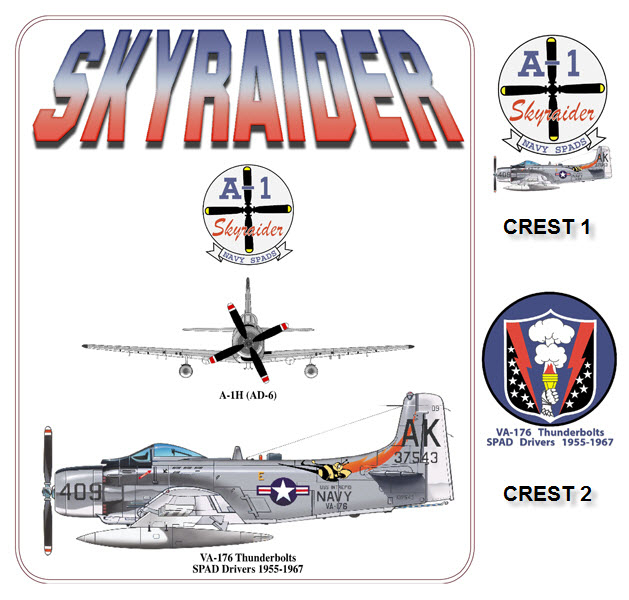 Squadron insignia on shirt front. 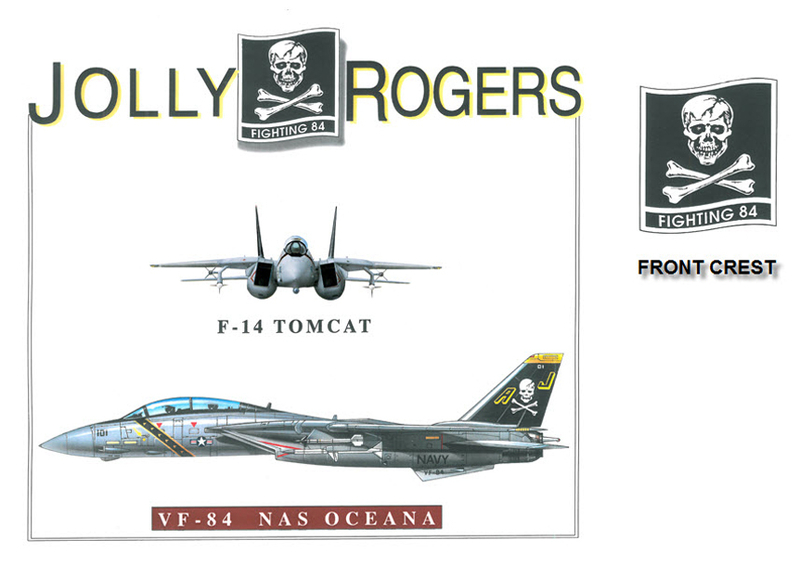 #185 - F-18 Hornet of the Navy's Flight Demonstration Team - The Blue Angels. 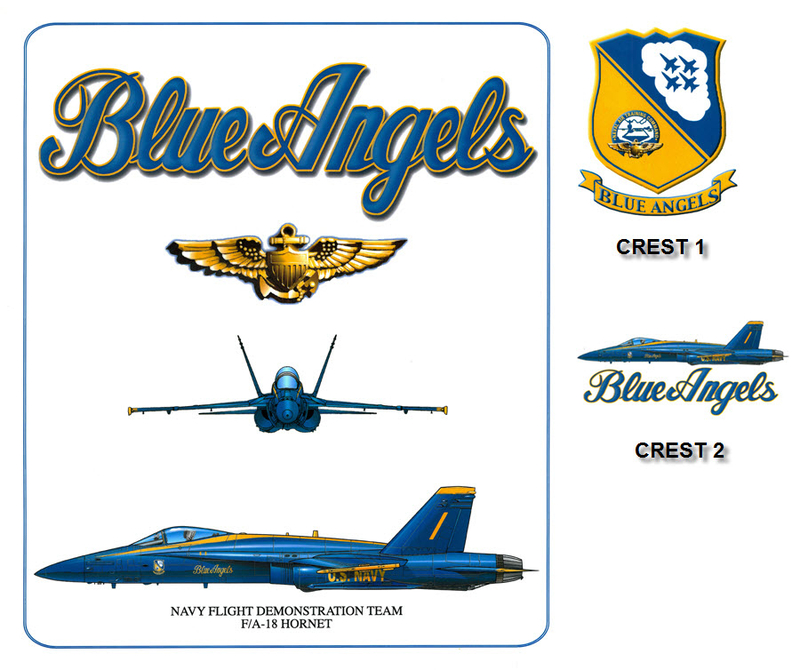 Blue Angels insignia on shirt front. 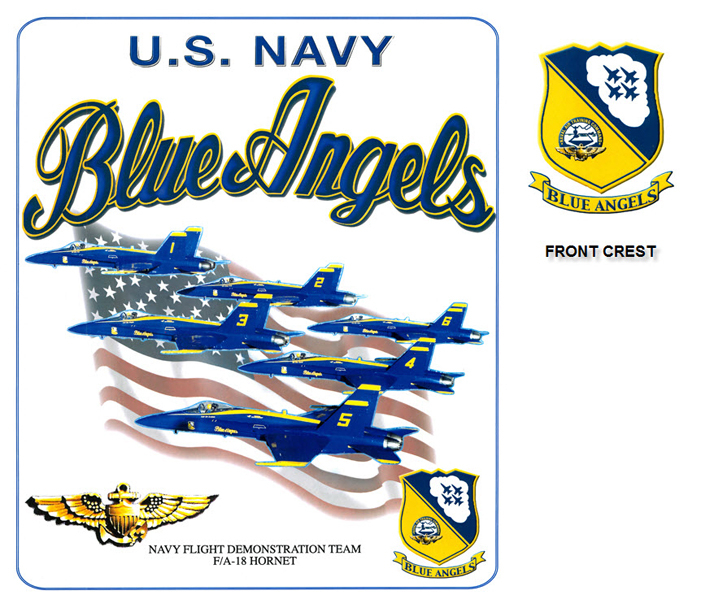 #224 - F-18 of the Navy's Flight Demonstration Team - The Blue Angels over an American flag. 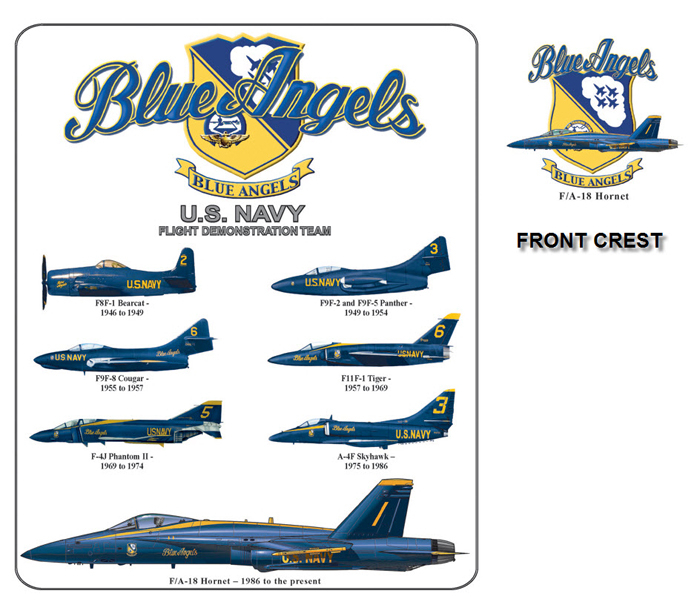 Choice of 2 crests - Blue Angels insignia or F-18 over flag. 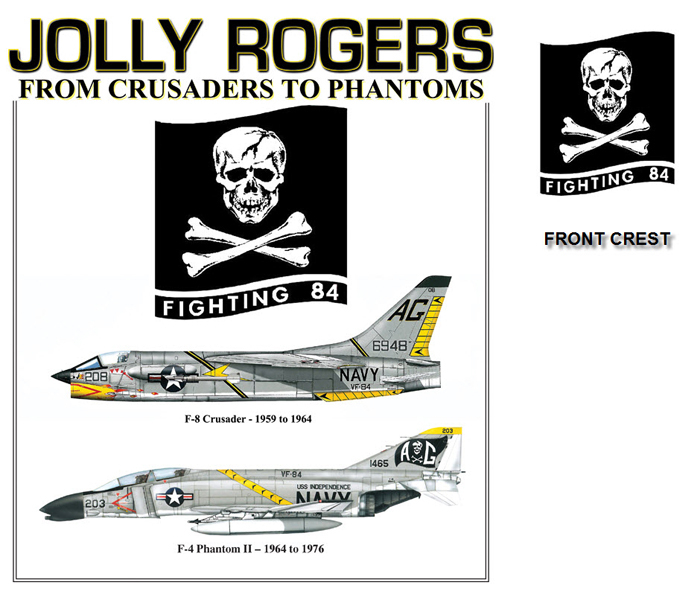 #165 Displays an F-4J Phantom II belonging to squadron VFA-96, the Fighting Falcons. 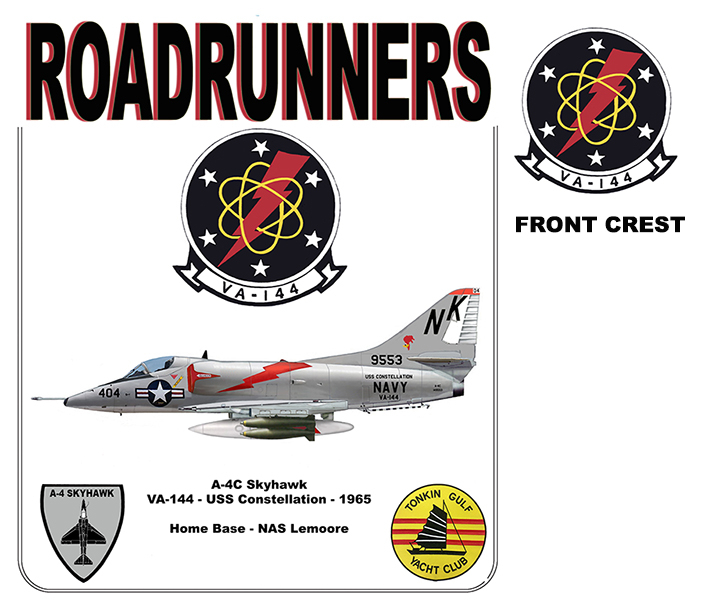 Squadron insignia on shirt front. 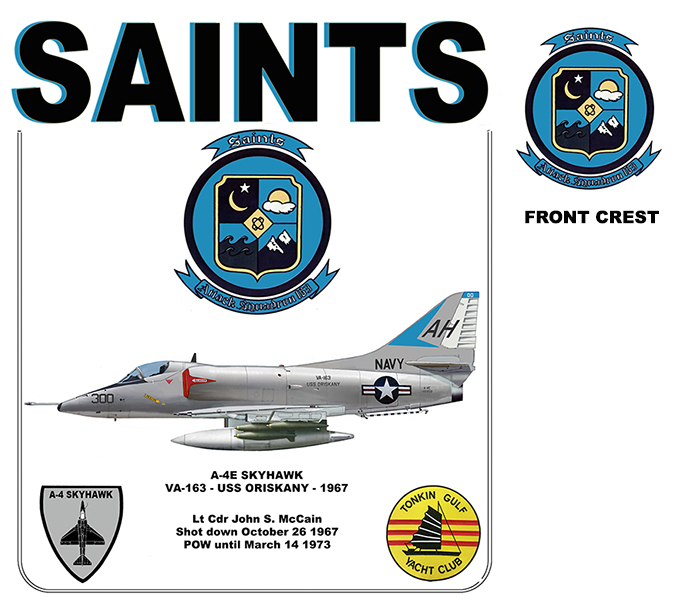 #163 - Viet Nam era F-8 Crusader. 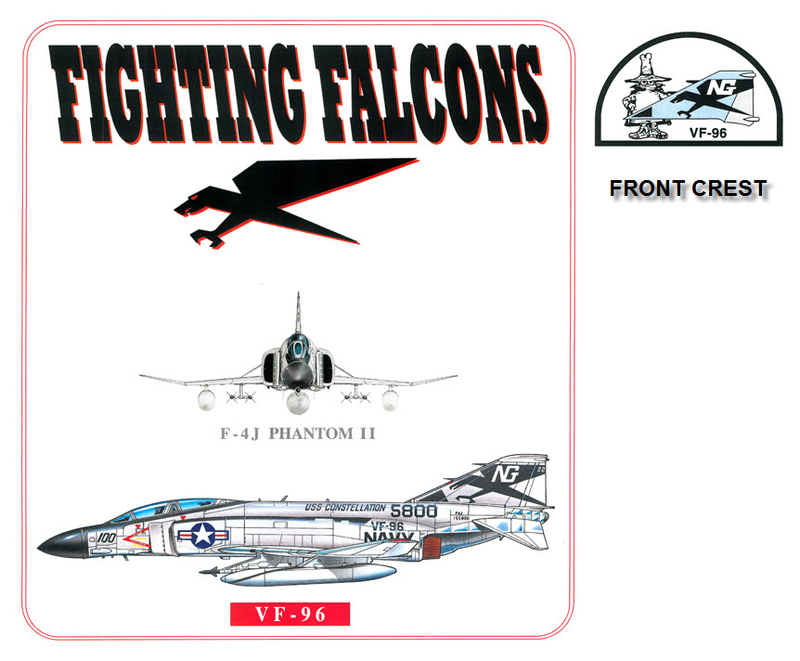 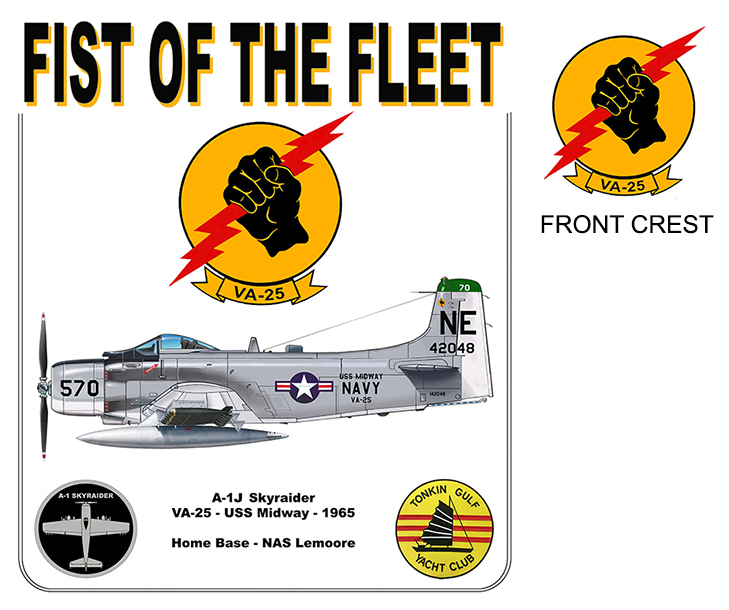 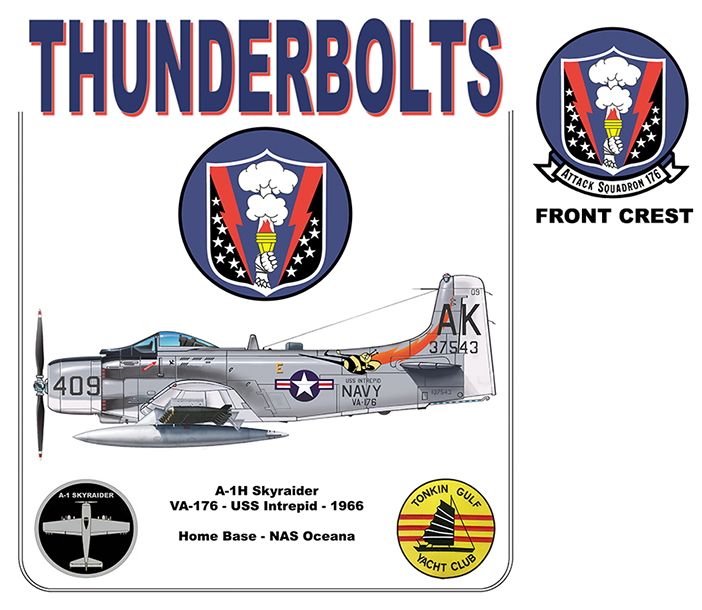 Two insignia available for shirt front - "F-8's Forever", or "When You're Out of F-8's, You're Out Of Fighters".